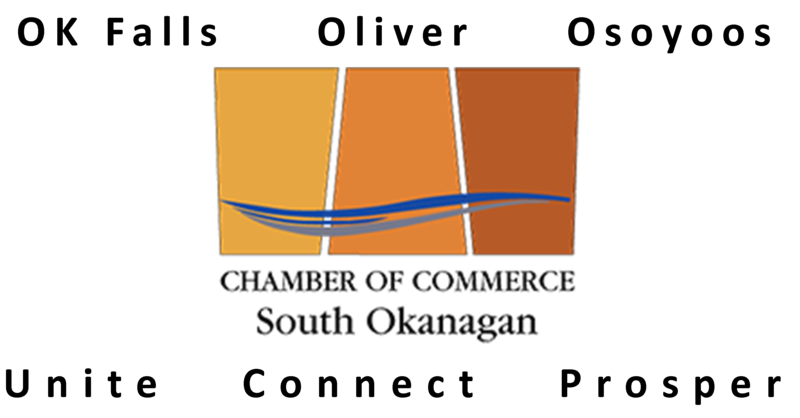 The South Okanagan Chamber of Commerce is a member based, nonprofit organization governed by the Boards of Trade Act. We have a small team made up of our Board of Directors, Staff, Committees and Volunteers who all work tirelessly to support our local business community. The South Okanagan Chamber officially came to be in May 2009. Prior to that there were three Chambers in our region – Okanagan Falls, Oliver and Osoyoos Chambers. The Oliver Chamber had been around since 1946. With increasing expenses and declining membership the boards of each chamber met and agreed to become a regional chamber and pool resources and efforts to support the businesses in the three South Okanagan communities. Now in 2016 the Chamber continues to be regional in focus and works closely with other stakeholders and partners in Osoyoos, Oliver, Okanagan Falls and beyond. Our motto for our South Okanagan communities and businesses is to unite, connect, and prosper. Our Mission is to promote an environment in the South Okanagan where our businesses can thrive. To ensure we provide the most valuable services to you and that we have the strongest voice, we are members of both the BC Chamber of Commerce and the Canadian Chamber of Commerce.